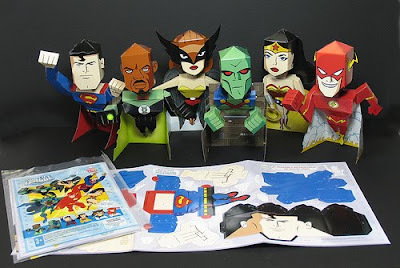 I've always liked the westernised form of Origami named Paperart, it's a cool outlet for poor productive types who want their own paper-form character from the T.V. 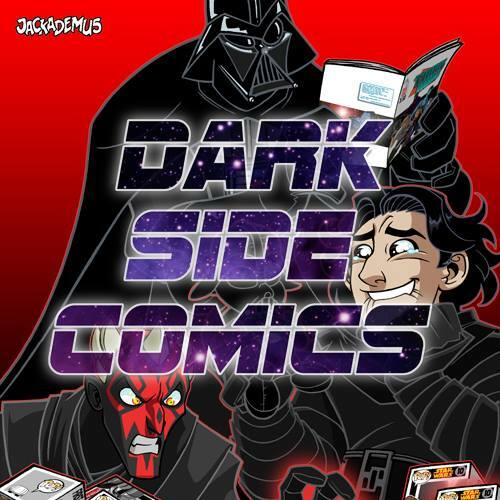 or movies without forking over wads of cash for overpriced actions figures or collectibles. I recently came across a few awesome releases which tickled my fancy. First up is Marty McFly from Back to the Future II and after that are the Justice League characters that were created to be distributed in Arby's restaurants in their kids meals, very cool (shame there's no Batman to complete the set!). 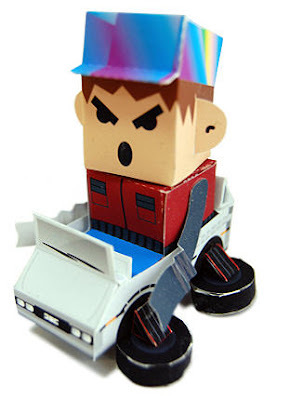 If you want to make a Marty paperart toy along with his flying Delorean you can download his PDF to print and cut out HERE.